Mbieri Nation’s Forum Condemns Eze Mmadumere’s Political Stance Against His People. Julius Maada Bio’s New Date With Destiny? Nigerian eye newspaper was founded 2009 in Accra Ghana as an instrument of enhancing the relationship between Nigerians in the Diaspora and their host nations, to help them understand the cultural uniqueness of Nigerians, it's a medium of discouraging the conspiracy to isolate Nigerians globally with misinformation about Nigeria and Nigerians and a lot a tool for fostering the regional integration of the African continent. We are trying not to loose our minds as we break this amazing news to you. 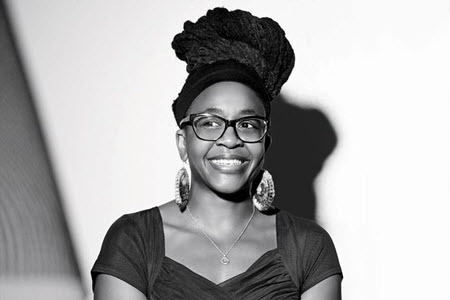 Nnedi Okorafor’s novel, Who Fears Death, has been acquired by American media power house HBO. George R. R. Martin, the writer of the mega hit series Game Of Thrones, is the executive producer of the TV show. The good news here is that the TV series is happening. Usually, we hear that a production company has acquired the rights to an African novel—like when Lupita Nyongo acquired the rights for Adichie’s Americanah or when Leonardo di Caprio’s production company bought the rights to Lauren Beukes’s Shining Girls. But acquiring rights is just the first step in a process that is so long and so complicated that the movie could actually never see the light of day. With Okorafor’s book, the TV series is in “early development,” which could mean a whole range of things. But what that tells us is that they have moved far beyond the film rights stage and are actually putting things in place to make the TV show happen. There is also an executive producer. Not just any producer, but George Martin who over the years has established himself as a solid HBO brand. So we know the Who Fears Death TV series will most likely happen, and we know it will be amazing. a lot. i am very involved. i also know george well (we met in 2014 and stayed in touch); he’s been a sort of mentor to me through all this. and all those involved know what this story is; onyesonwu is in good good hands. We are not entirely surprised by George Martin’s involvement in the project. He has had African writers on his radar for a while now. Last year, he told Bookbub.com that Lauren Beukes’ Broken Monsters is one of the 9 novels he thinks everyone should read and called her “a major talent.” The fact that he is now collaborating with Okorafor on this project make sense. Okorafor and Beukes are two of the most celebrated African sci-fi fantasy writers today. This is such happy news guys. We are beyond delighted for her. When you’ve rooted for someone from day one and you see them meeting unbelievable milestones, it’s hard not to revel in their joy. Join us in celebrating Okorafor’s success and what this means for African literature as a global brand. Outline to deconstructing Patriarchy and affirming gender equity unraveled at African Women Intercultural Dialogue. Are you Poisoning yourself with your Fridge?